To save the Earth from collision with an approaching planet, Dr. Zarkov recruits Flash Gordon and Dale Arden to travel with him via rocket to find a way to avert the catastrophe. 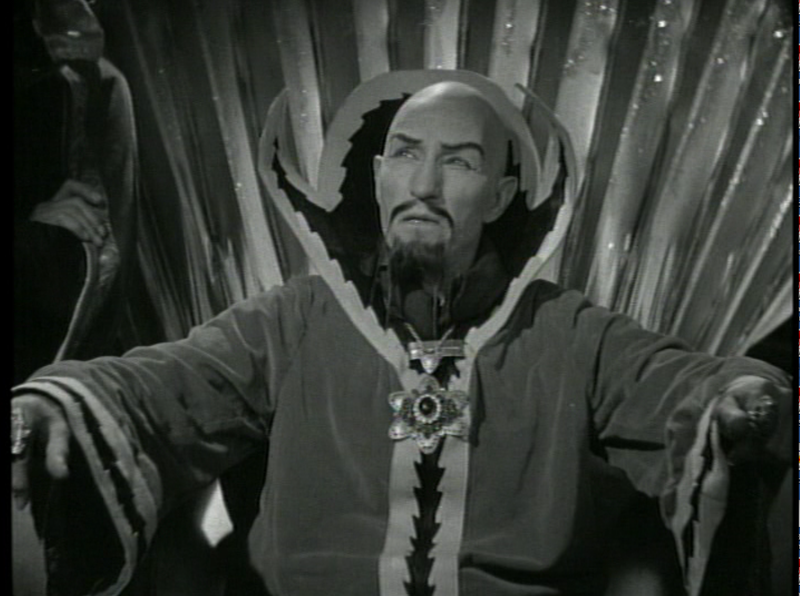 Upon landing on the planet Mongo, the trio encounter Ming the Merciless and his daughter, Princess Aura. For the following 12 weeks, Flash fights a lot, Dale faints a lot, Aura fauns a lot and Ming frowns a lot. Serials, or chapter plays, had been around for a while, all the way back to the early part of the silent era. But in the 30s, they became big business, and hunky heartthrob Buster Crabbe was the king. After a career as an athlete, during which he won the gold medal in the 400 meter freestyle in the 1932 Olympics, he started his film career in the serial Tarzan the Fearless in 1933. After that, he played Tarzan a few more times, Flash Gordon in three major productions, Buck Rogers in 1939, and Billy the Kid in a staggering 36 feature films. If you went to a movie theatre on any Saturday in the 30s and 40s, chances are you saw him. Flash Gordon was based on the comic strip of the same name, and that comic strip feel was definitely present in the big screen adaptation. 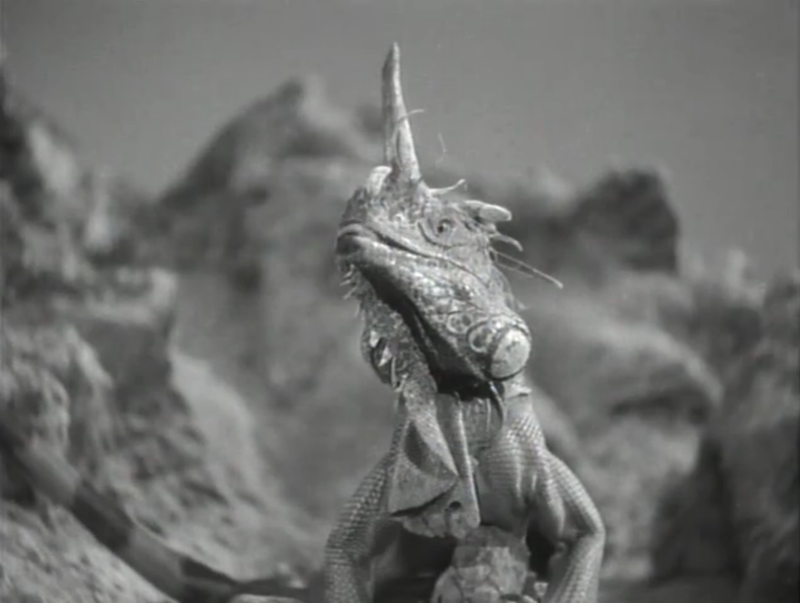 It was one of the most expensive serial productions at the time, and was the first fully sci-fi-themed serial (many others followed after its success). This is pure Saturday morning popcorn fun — there’s no deep meaning, no political agendas, no social commentary. The intent was to hook an audience and get them to return to the theatre the following Saturday to watch the next chapter. These chapters have to have been shown on television when I was little, as I have a very vague memory of these. Either that or I’m confusing it with footage that I saw in one of those “history of sci-fi” documentary that I loved watching at the time (and still do!). My earliest memory of any kind is of seeing reruns of the 1952 George Reeves Adventures of Superman series, but I feel like I saw the Flash Gordon chapters around this time as well, and it was definitely something I’d have been drawn to. 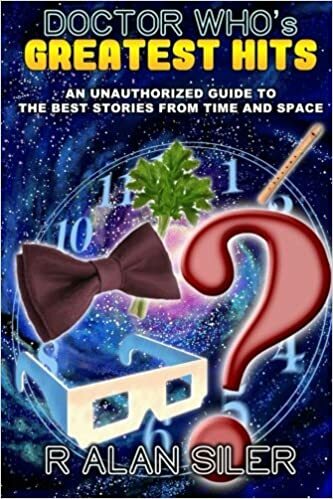 And I’m certain that when I finally discovered Doctor Who in 1983, my familiarity with the serial format came from Flash. Watching it now, of course, it doesn’t hold up quite as well. For instance, Zarkov is sent to work on Mongo in various different (yet nearly identical) labs to do science, and he turns knobs and electricity arcs or tubing flares up with crackling sound effects … but nothing really happens. At least in the second lab he finds a way to contact Earth and has to come up with some way of supporting the sky city once its suspension beams are turned off. Oh, and turn Flash invisible. While on Mongo, Flash and his cronies encounter various peoples like the Lion Men, the Shark Men and the Hawk Men. Disappointingly, the Lion Men and the Shark Men are just men, just regular dudes. Actually, the main Lion Man that we see, Thun, has a rather leonine beard. At least the Hawk men had wings, even if we don’t ever really see them fly (we see, in their first appearance, little miniatures suspended). Prince Vultan, leader of the Hawk Men, gets a few good moments, but Brian Blessed he ain’t. 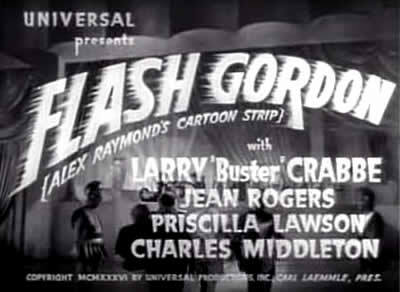 In addition to Doctor Who — which had stories told episodically that ended in a cliffhanger, and with each subsequent episode beginning with a recap of the last minute or so of the previous one — Flash Gordon had a major impact on sci-fi cinema, from it’s own big budget full-color rock opera remake in 1980 to stylistically influencing such varying works as Star Wars and the “Captain Proton” episodes of Star Trek: Voyager. Like many serials, these are best watched individually or in batches. Watched all in one go, the fight scenes, Dale’s fainting and screaming, Vultan’s laugh and Aura’s duplicity, not to mention the nonstop incidental music, become rather repetitive and a bit tiresome. But in its original form — one short, fast, punchy, exciting episode per week — it must have left audiences breathless. Saturday’s must have seemed much more than 7 days apart. When I was writing and drawing the Flash Gordon newspaper strip, I always went back to the serials for inspiration. Mr Keefe! So nice of you to comment! I’m humbled that you took the time to read my little blog post!